Stylish mesh back chair with generous fabric seat and aerated mesh back. 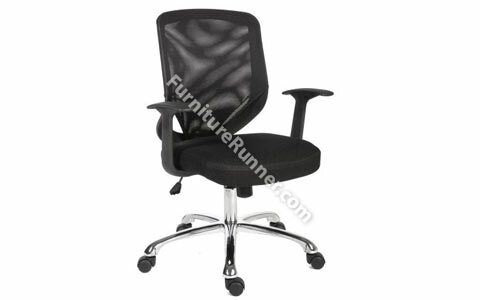 Features a gas seat height adjustment and reclining function with tilt tension control. Durable armrests included.